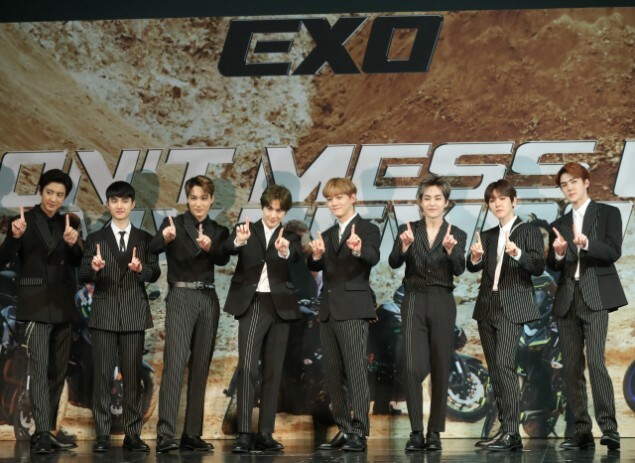 The members of EXO shared thoughts on D.O. 's kiss scene. Chen also shared, "I watched our Kyung Soo's kiss scene on TV, and I was very surprised as if I'm a fan. It was my first time seeing Kyung Soo kiss..." Other members brought laughter as they commented, "It would be weird if you've already seen him kiss before." D.O. went on to talk about the kiss scene himself, and said, "There were not many NGs (cuts). We did have several takes for a beautiful scene but we didn't have an NG. I tried my best, and I was thankful that it came out beautifully as much as I worked hard for it. We never talked about how we should do it. It just happened naturally."